“We will not punish or victimise or persecute anyone who has been associated with Karuna in his traitorous activities. Our leader has instructed us to take a strictly humanitarian approach in dealing with this issue. Karuna’s colleagues who fled the district four days ago are contacting us now. They are all coming back. 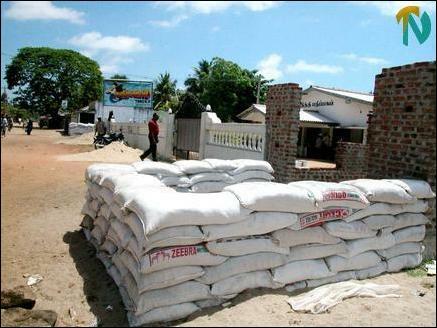 We would soon restore the law and order system and the judiciary”, said Col. Thambirajah Ramesh, LTTE’s special commander for the Batticaloa-Amparai district speaking to TamilNet at the ‘Meenaham’ military base Friday. 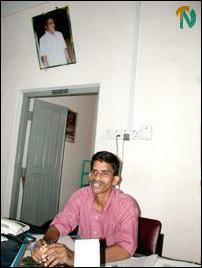 Col. Ramesh said that measures would be taken to restore normalcy in the east. “The military will concentrate on its national mission. It will not interfere in the affairs of civil society. Karuna refused to accept that civil society should be allowed to strengthen itself through impartial judicial and law and order structures”, he said. He said that the Thamil Eelam Courts and Police would soon take over all dealing with civil society in the Batticaloa-Amparai district. 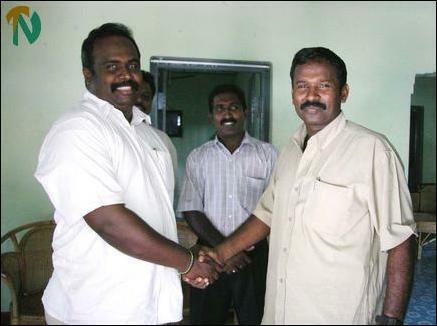 Meanwhile, Mr. Selvam Adaikalanathan MP elect for Vanni and Mr. Senathirajah Jeyanandamoorthy, MP elect for Batticaloa and former TamilNet correspondent who visited the LTTE controlled areas of the Batticaloa district Friday met Col. Ramesh at Meenaham and Mr. E. Kousalyan, the head of the Tigers’ political division in Batticaloa at his office in Kokkaddicholai to discuss civil society problems arising from the activities of the Karuna Group in the eastern district. Mr. Adaikalanathan and Mr. Jeyanandamoorthy told Mr. Kousalyan they would arrange a fact-finding visit for all the Tamil National Alliance MPs in Batticaloa soon to identify development priorities in this eastern district. The MPs visited the Thamil Alai office in Kokkaddicholai and had discussion with the newspaper’s staff. Thamil Alai editor Mr. Venugopal explained the oppressive conditions under which they had to publish the paper during the 41 days when renegade commander Karuna dominated the eastern district. He said his staff was held at the newspaper office under threat. "Bunkers were built at the entrance of the office and there was a military unit stationed here by Karuna to guard the premises round the clock", Mr. Venugopal said. 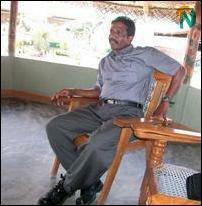 Mr. Kottavan, the cadre appointed by renegade commander Karuna to supervise the Thamil Alai paper and the Paadumeen.com website, told TamilNet that he too had explained to the Tigers the circumstances under which he had been compelled to publish black propaganda against the LTTE and its leadership. He has been asked to continue his administrative duties at Thamil Alai until the publications division is modernised and revamped, LTTE officials said.